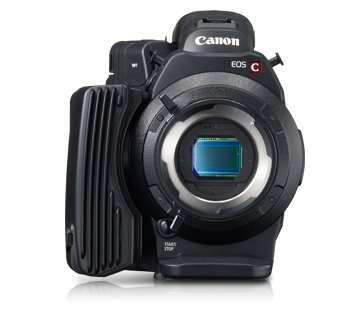 The powerful, compact EOS C500 PL offers 4K video capture, RAW data output and Canon Log Gamma for high-quality video with wide dynamic range. The PL mount is compatible with industry-standard lenses. The C500 offers 4K 10-bit RAW, 2K RGB (4:4:4, 10 / 12 bit) or Full HD RGB data output to a compatible third party external device at frame rates of up to 60P. Two further SDI outputs can connect to an external monitor. Simultaneously record Full HD MXF files to CF cards for use as proxies in desktop editing. Shooting with Canon Log delivers neutral image quality with wide dynamic range - 12-stops of latitude at a base setting of ISO 850 - for maximum freedom in post-production. 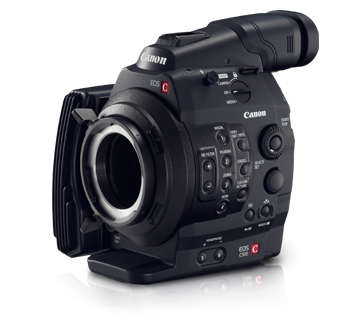 During internal CF recording mode, the EOS C500 provides a Slow and Fast Motion Mode that can be used to record at a different frame rate than the playback frame rate, thereby resulting in either a fast or slow motion effect. Because the EOS C500 is recording real frames, and simply modifying the data playback rate, there is no overall quality loss due to interpolation; maximum image quality is maintained. In HD 1080 mode, fast motion is supported at up to 30-times normal rate and as slow as 1/1.25sec. ; in HD 720 mode, fast motion is supported up to 60-times the normal rate, and as slow as 1/2.5 seconds. In 4K/2K output modes the camera provides variable frame rate control that can be output to external recorders. The EOS C500 incorporates an interval recording function. With this feature set, users can program the camera to record a specified number of frames at specified intervals for time-lapse capture.